Farmer, municipal official, MLA (1916-1920). Born at Ottawa, Ontario on 10 April 1857, son of Joseph Baskerville, he was educated at Ramseys Corners before coming to Manitoba where he farmed and served for 27 years as a municipal councillor and school trustee. 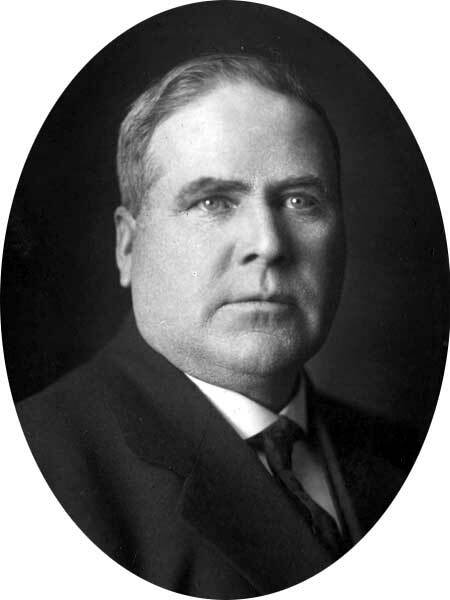 He was elected to the Manitoba Legislature at the 1915 general election but was defeated at the 1920 general election. He retired from farming around 1920 and moved to Dominion City. On 26 December 1888, he married Jennie Oatway (?-? ), daughter of Richard Oatway, of Perth, Ontario. They had six children: Clifford W. Baskerville (?-? ), Milton G. Baskerville (?-? ), Lloyd O. Baskerville (?-? ), Wallace R. Baskerville (?-? ), Warren W. Baskerville (?-? ), and Cynth Lyle Baskerville (?-?). He died at his home on 31 January 1926 and was buried in the Dominion City Cemetery.